Parents will no longer be able to use a legal loophole to avoid paying child maintenance, under new laws to be brought in within months. If a parent owes maintenance, payment can currently be taken only from a bank account held solely by them. A "small minority" are avoiding payments by having a joint account with a partner, the government says. It says new rules mean money can be taken from joint accounts, which could mean an extra £390,000 being collected. Safeguards will be put in place over deducting money from joint accounts, the Department for Work and Pensions said. These include taking from a joint account only when the paying parent does not have their own account - or there is not enough money in their own account. Bank statements will be reviewed to establish which funds belong to the paying parent, and both account holders will be given the right to make their case before any money is taken. 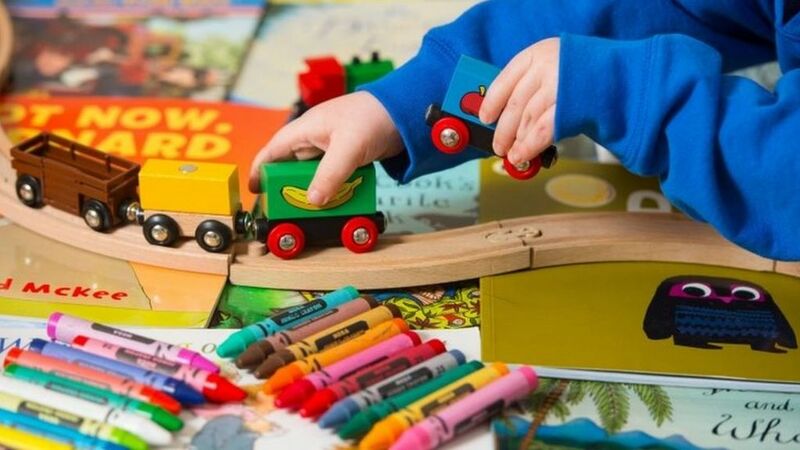 Earlier this year, figures from the BBC's Victoria Derbyshire programme showed a UK backlog of more than £3.8bn in uncollected child maintenance payments. About 1.2 million people were owed child maintenance, the figures showed. Caroline Dinenage, minister for family support, housing and child maintenance, said: "Our priority is for children to get the support they need. "Only a small minority of parents try to cheat their way out of paying towards their children, and this new power will be another tool to tackle those who do."